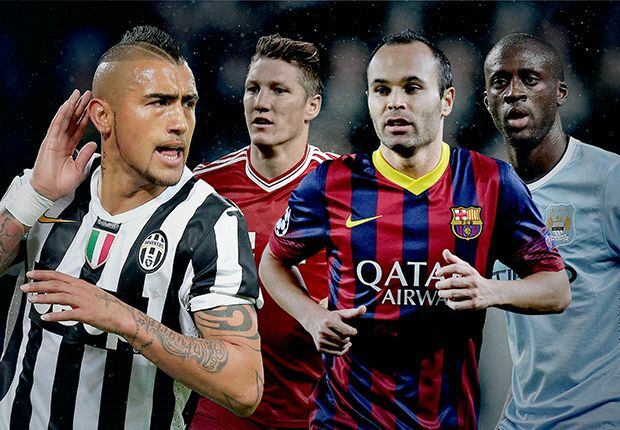 »Sports news»Debate: Who is the best central midfielder in the world? Debate: Who is the best central midfielder in the world? Juventus midfielder Arturo Vidal sparked huge debate on Wednesday morning when he boldly declared that he was the best central midfielder on the planet. “I am the best player in the world in my position. That’s simply the way it is for me,” the Chilean was quoted as saying by Sport Bild. Vidal has undoubtedly developed into a world class player since joining Juve from Bayer Leverkusen in 2011, but is he the very best central midfielder on the planet? What about the likes of Andres Iniesta, Bastian Schweinsteiger and Yaya Toure? 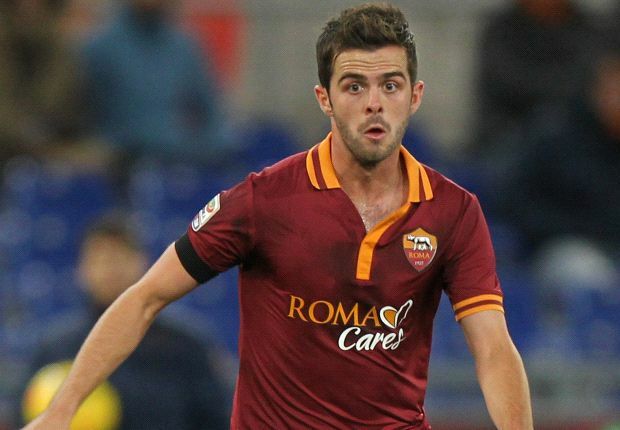 Or even Miralem Pjanic? Five Goal writers argue their case for the player whom they believe to be the best central midfielder in the world. The selections are based on both current form and permanent ability, and each player must regularly play in a central midfield role – such as a midfield-three or midfield-two. Attacking midfielders who feature in more advanced positions such as Eden Hazard, Franck Ribery and Isco do not qualify. Arturo Vidal is the perfect midfielder – defensively, offensively, physically, mentally, tactically, technically, the 26-year-old ticks every box. No one can rival Vidal’s ability to halt opposition attacks – the Chilean executed the most tackles in total in the Champions League group stages of this season and last. His goalscoring record for someone whose first responsibility is to defend is extraordinary – 57 goals in the last three and a half years. 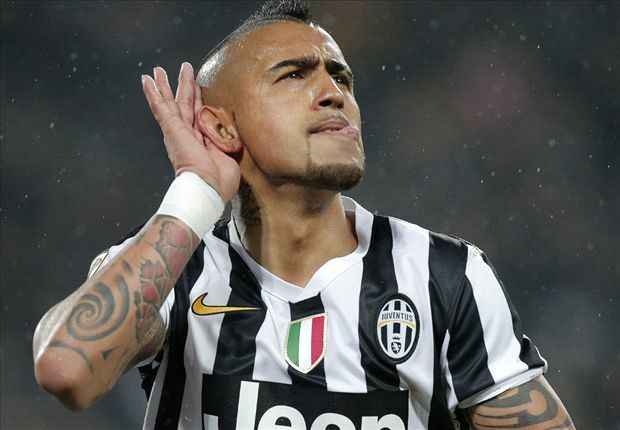 Lightning fast, indefatigable and fiercely competitive, Vidal never stops running until the last kick. He has the heart of a lion – hence his nickname ‘The Warrior’ – and regularly plays through the pain barrier, as he did when he limped around the Chelsea pitch for an hour in inspiring Juventus to a 2-2 comeback draw last season. He can fit into any system, can adapt to any culture or competition – unlike others in this debate – and is so complete he has also played for Juventus at centre back, wing back and even on the wing! Would walk into any team. Talk of the world’s best midfielders usually leads inevitably to mention of one club: Barcelona. In Xavi, Andres Iniesta, Sergio Busquets and Cesc Fabregas, Barca boast four of the finest exponents of the current generation. And of those four, the first two stand out. Xavi, who made his 700th appearance for the Catalan club earlier this month, was widely considered to be the better and the more important of the two in Pep Guardiola’s great team and also in Spain’s success at Euro 2008 and the 2010 World Cup. 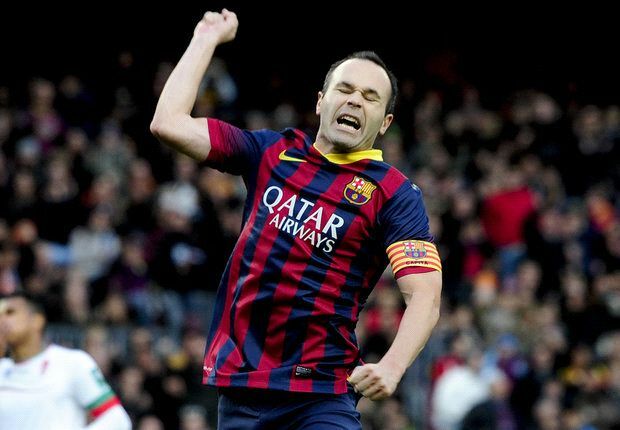 But Iniesta, since striking the winning goal for Spain in South Africa, has continued to shine for club and country and was simply sublime for la Rojaat Euro 2012. A brand new contract signed earlier this season, the 29-year-old has dipped slightly in form for his club this term, but will have one eye on the World Cup later this year and will be central to Spain’s hopes again. At his best, there is nobody near him at the moment. It’s been a tough couple of years, injury-wise, for Bastian Schweinsteiger but that should not detract from his standing as the foremost midfielder in world football. He is the man who has made Bayern Munich tick in recent season and few can argue that Pep Guardiola’s side are not now the best team in the world. He shows for every pass and rarely fails to find the mark. He covers his defence on instinct and is always in the right spot for an interception or a tackle. When fit, he is as a robust competitor as there is and he comes out on top in any midfield duel in which he is involved. He has evolved into the complete central midfield player in the past number of seasons since Louis van Gaal restored him to that position, and Jupp Heynckes and Guardiola have both had no qualms about appointing him their on-field deputy. He is now a mature, responsible player and one who will again play a key part this season for both club and country. Yaya Toure is an undisputed central midfield giant. When discussing who is the best in the world at ploughing from box to box, locating strikers with a perfectly-placed pass, or instilling fear into opponents from set pieces, there is no one better right now than the Manchester City pivot. 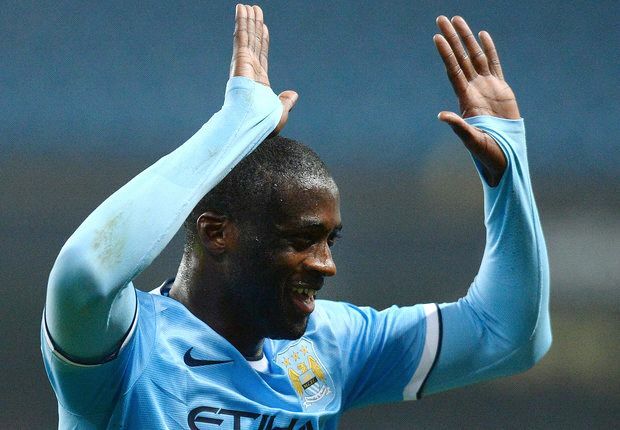 Yaya’s brilliance has never been disputed – the ex-Barcelona man has been at the uppermost level for a few years now. But it is only this term that he is finally receiving the recognition he deserves. It helps that he has already scored more goals (14 and counting) at club level in 2013-14 than in any other campaign in his career. Even when City’s form has dipped, Toure has remained an indefatigable presence and he has won Caf’s African Footballer of the Year award for three consecutive years. Camp Nou is a fortress for midfield talent, but the Ivorian is an example of how world-class quality can slip through the Catalunya cracks and shine elsewhere. Miralem Pjanic may not play for one of Europe’s very best sides, turning out for a Roma team starved of European football, but he has quietly established himself as one of the greatest midfielders in the world. The Bosnia international has become the fulcrum of Rudi Garcia’s revolution in the Italian capital. Alongside the more robust Kevin Strootman and Daniele De Rossi, Pjanic’s primary responsibility is to provide a link between the midfield and attack. This is a role he carries out with excellence on a regular basis, fashioning numerous chances in each match. Such is the formidable nature of Roma’s midfield, they have been dominant in virtually every Serie A fixture they have played this season and reduced the great Juventus to playing a counter-attacking game against them. Pjanic’s class was the primary reason, and to force a side such as Juve to adopt a different tactical approach is high praise of his excellence. As was his key role in taking Bosnia to their first ever World Cup. ← Is Mata the chosen Juan?